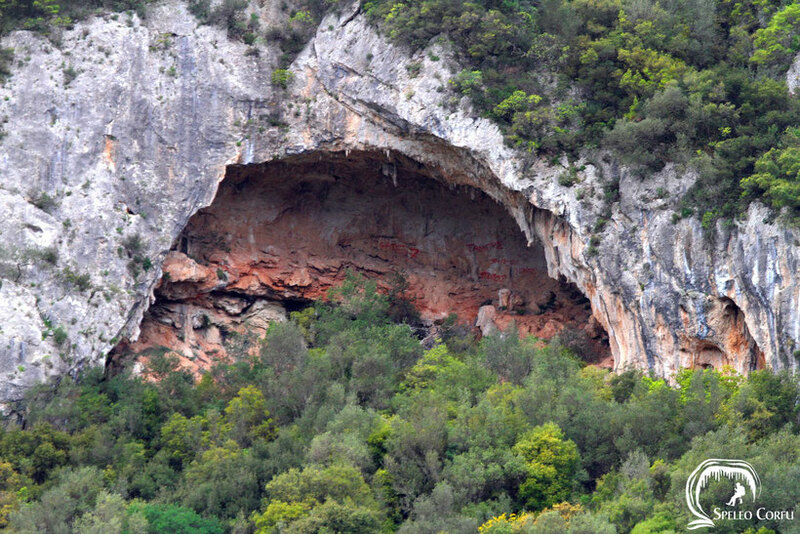 Nianiiris ( or Anastasis) cave - Website about caves on the island Corfu. 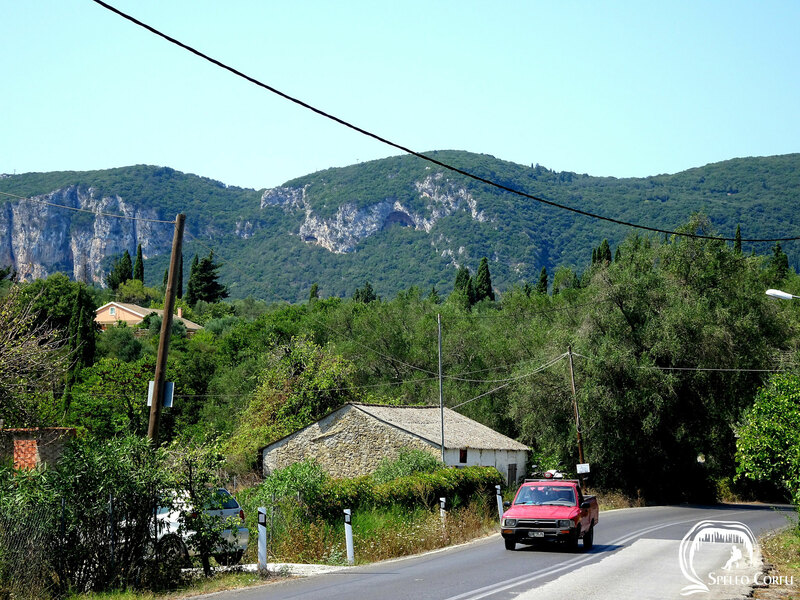 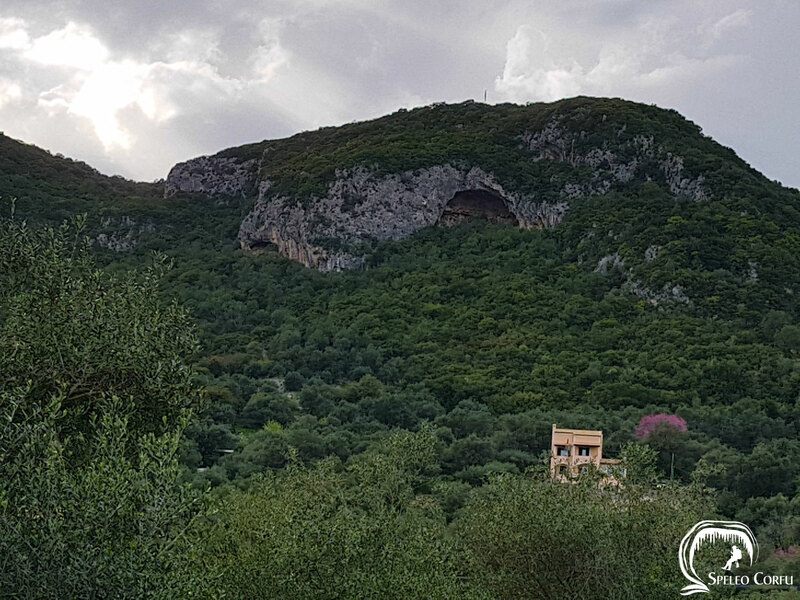 The Nianiiris cave also called Anastasis cave is located on an altitude of 290 metres with fantastic views across Doukades village and its surroundings. 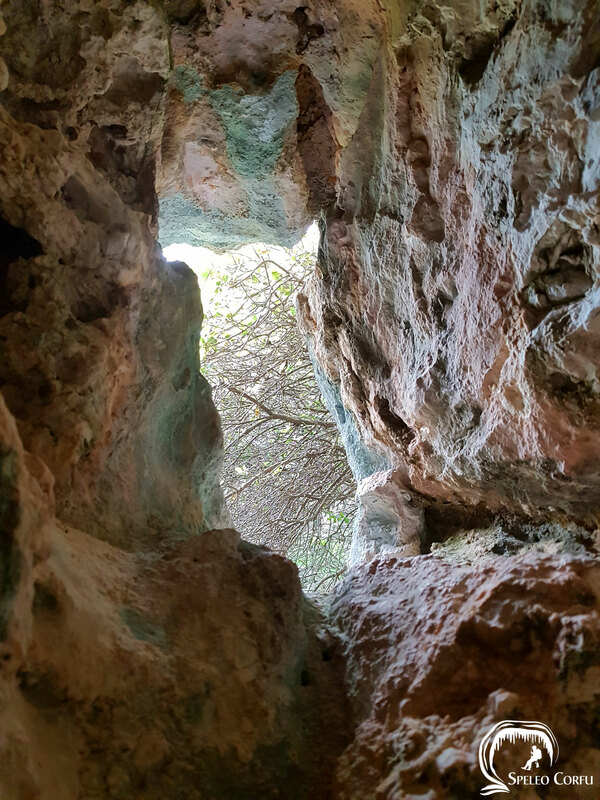 The cave is difficult to reach. 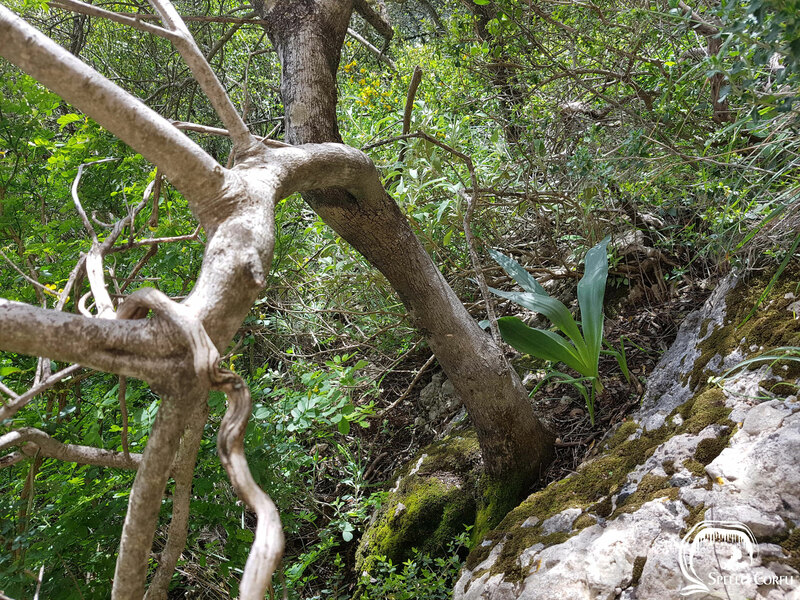 During the last visit in spring 2018 the path upwards was slippery and covered with dense vegetation. 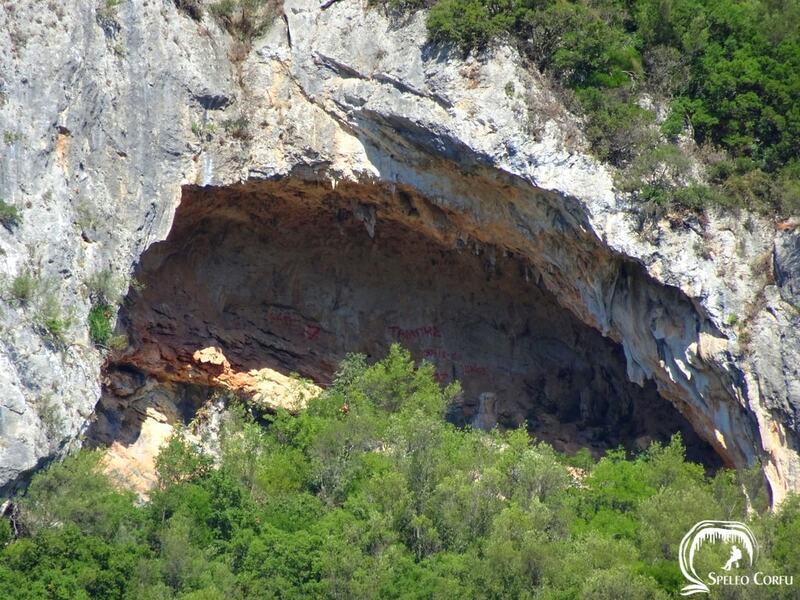 During World War II the Nianiiris cave was used as a shelter. 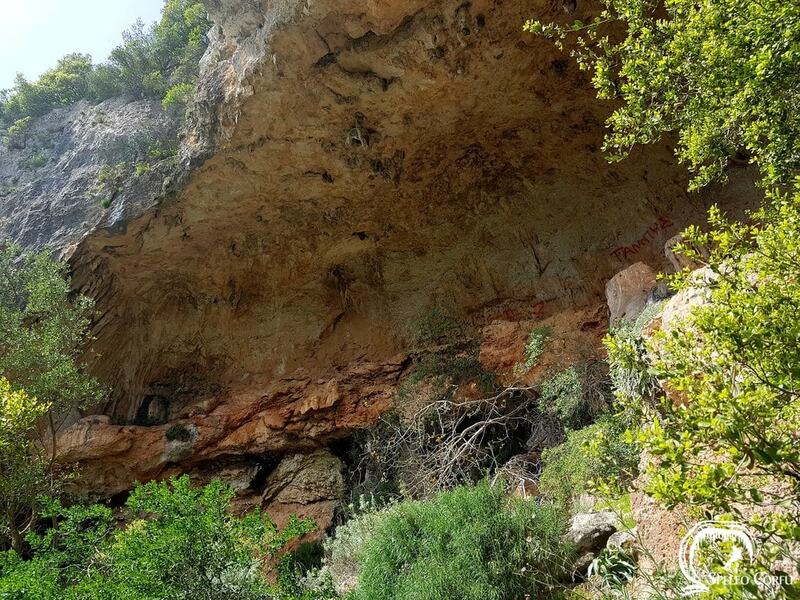 Locals know that in the past, when the village didn't have its own water supply, the women went up to the big cave to do their washing in the 'rock pool'. 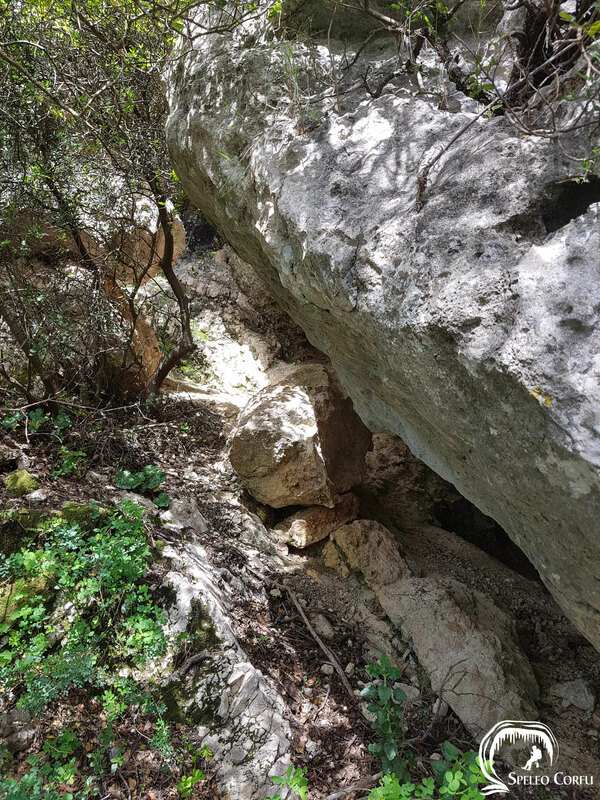 The rock pool is not visible anymore. 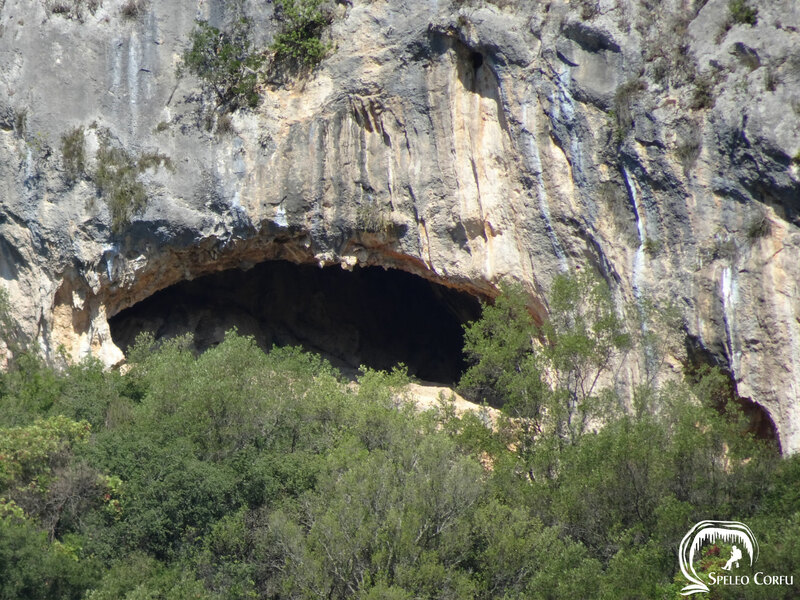 The villagers kept animals like goats and sheep in the big cave. 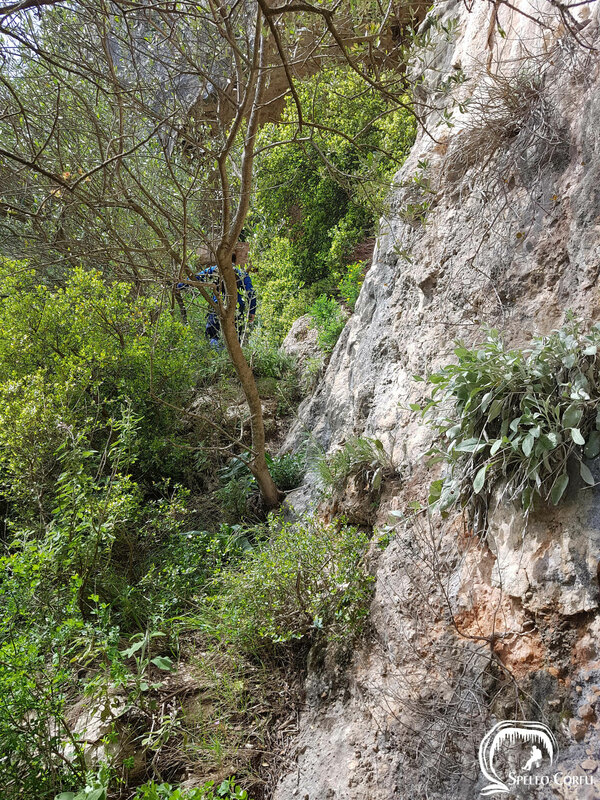 The owners slept in the small cave on the left. 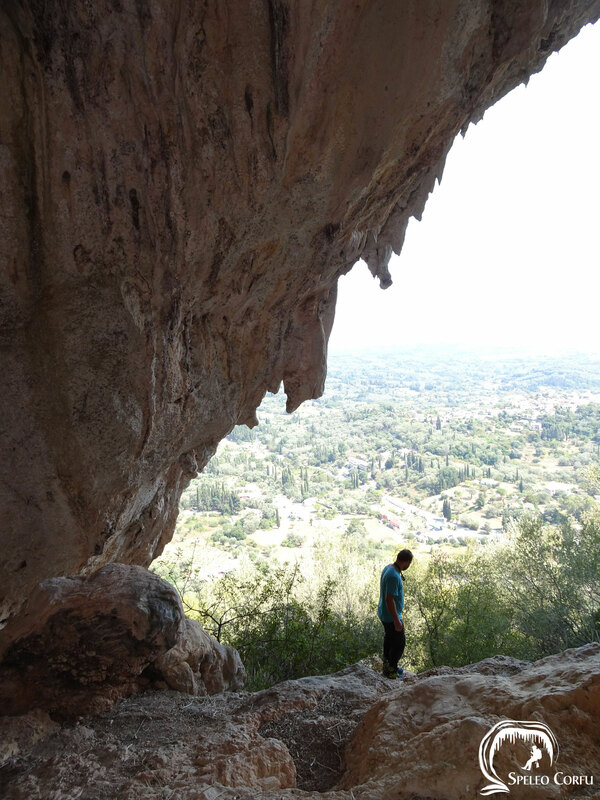 On the left of the Nianiiris cave or Anastasis cave there is a smaller cave. 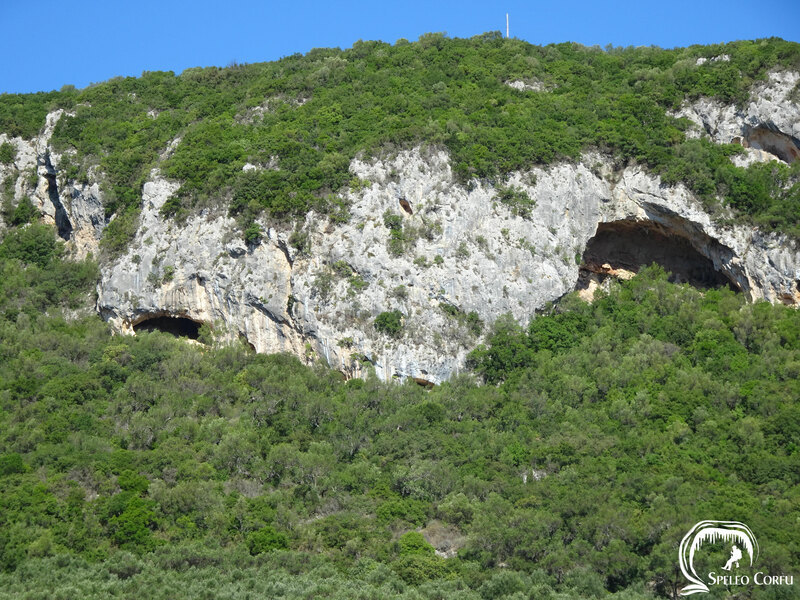 The cave is located on an altitude of 270 metres. 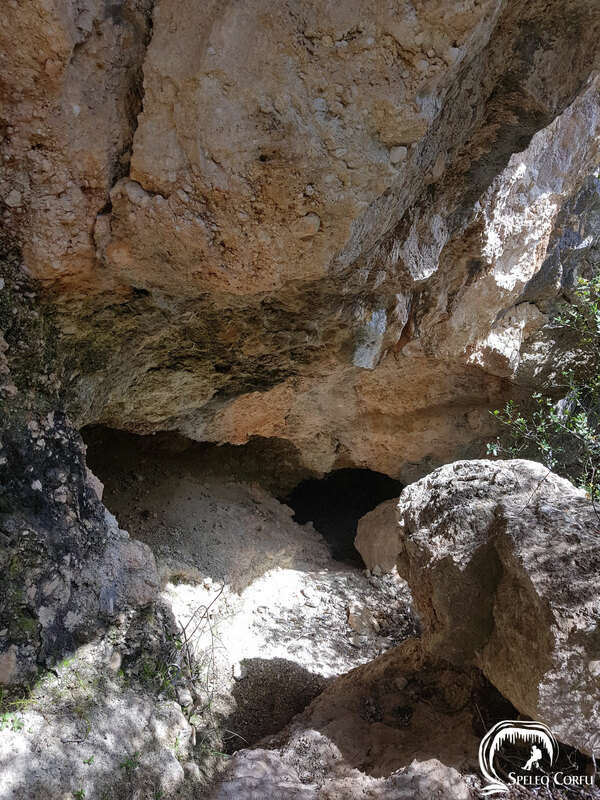 In the past the smaller left cave was accessible by foot from the right cave.